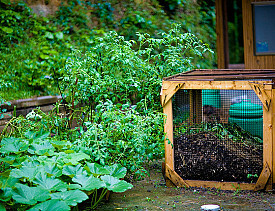 Home composting isn’t just for farmers anymore! The practice is becoming increasingly popular among urban environmentalists who are eager to cut their landfill contributions: from apartment dwellers growing gardens on top of NYC roofing, to folks who participate in their local municipal compost program, to homeowners looking to turn their backyards into teeny tiny sustainable city farms. Composting is a key component of the eco-friendly puzzle, because it takes waste that’s destined for landfills and turns it into usable, nutrient-rich soil perfect for gardening. Most people focus on kitchen scraps, but that’s just the tip of the composting iceberg. Did you know you could also include the following? Sayward Rebhal writes for Networx. Solar Shingles or Solar Panels?